We are young people struggling with massive debt, worried about losing our homes and families to climate change, and not finding hope in the future of our state. Over the past decades New Hampshire has failed to address these issues and create a state where young people thrive.. Our elected officials have failed time and time again to represent the true needs of our communities. Students and young people in NH carry an incredible amount of political power and it’s time we start using it. 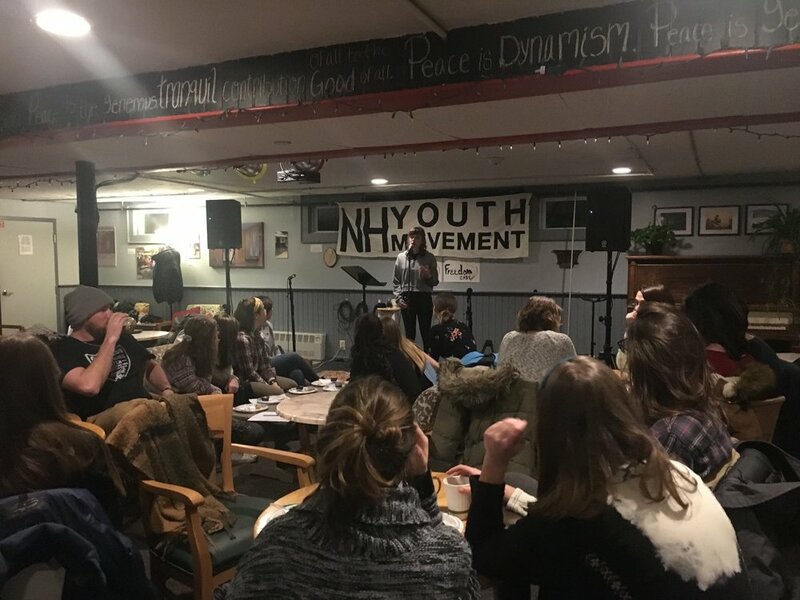 Across New Hampshire young people are creating hubs that are working under a shared set of values and principles to build collective power in our communities. These hubs come together during major days of actions and key elections while continually growing in their communities. From town elections to demonstrations, every community has a reason to rise up and the right to fight back.